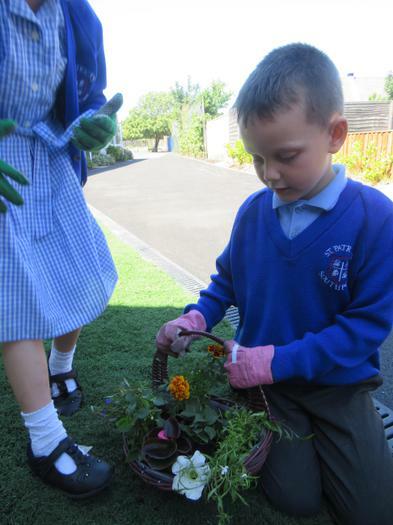 Pope Francis reminds us that Christians are called to care for our common home. 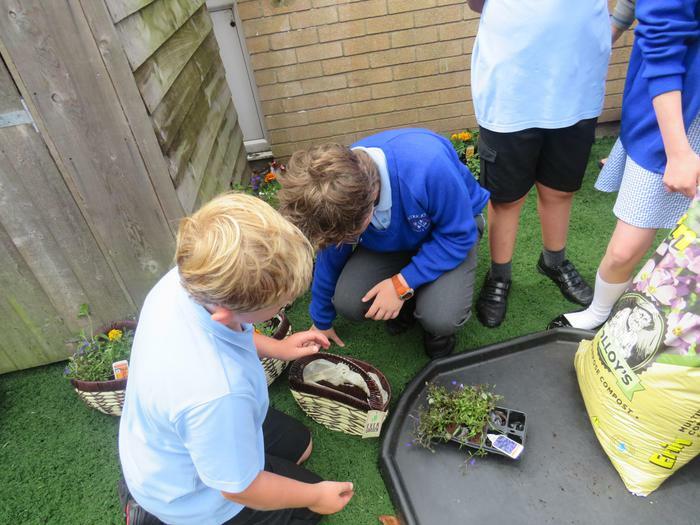 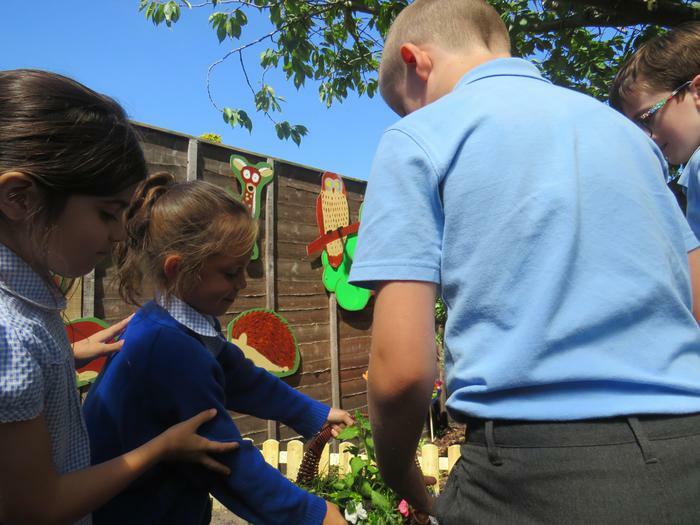 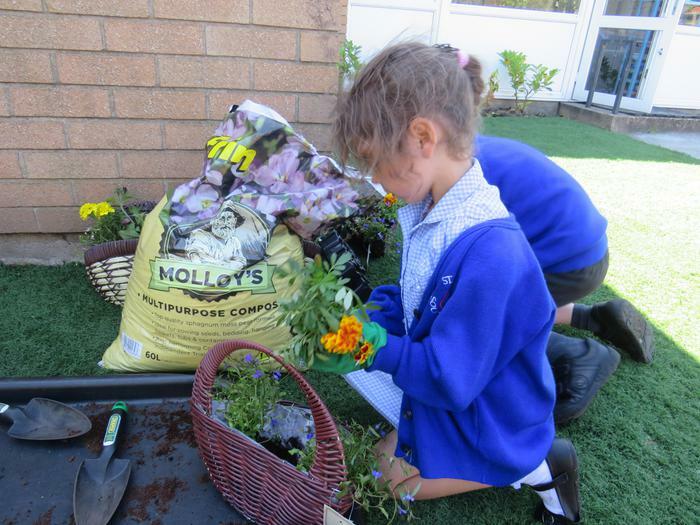 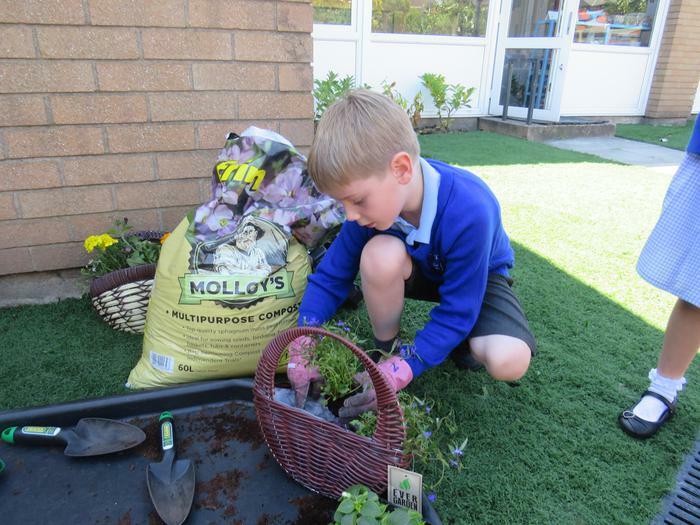 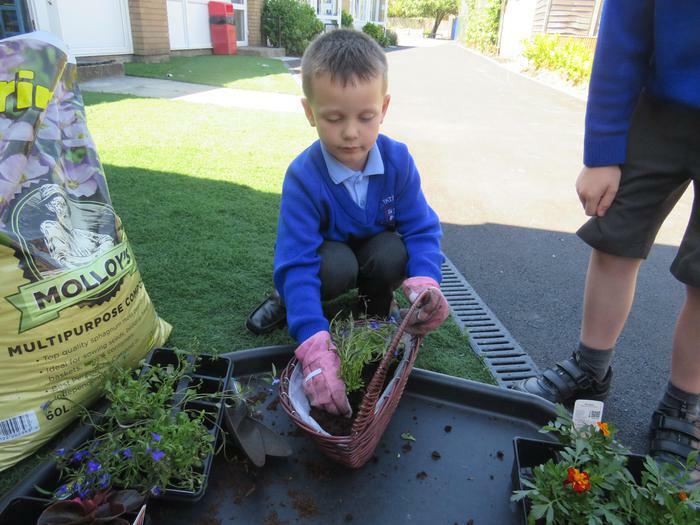 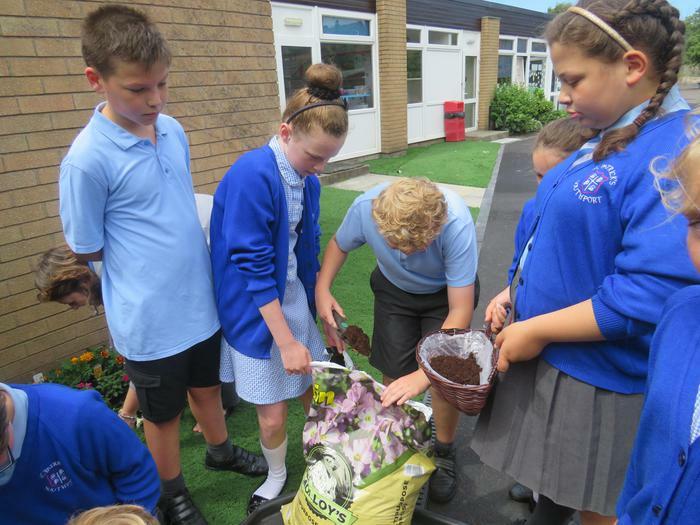 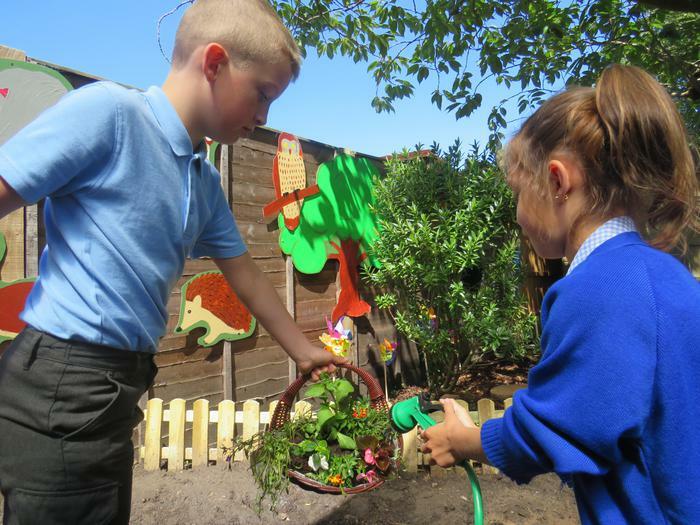 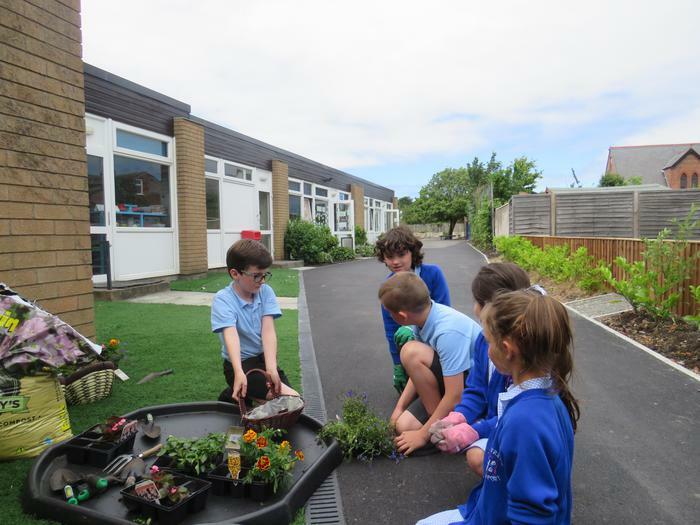 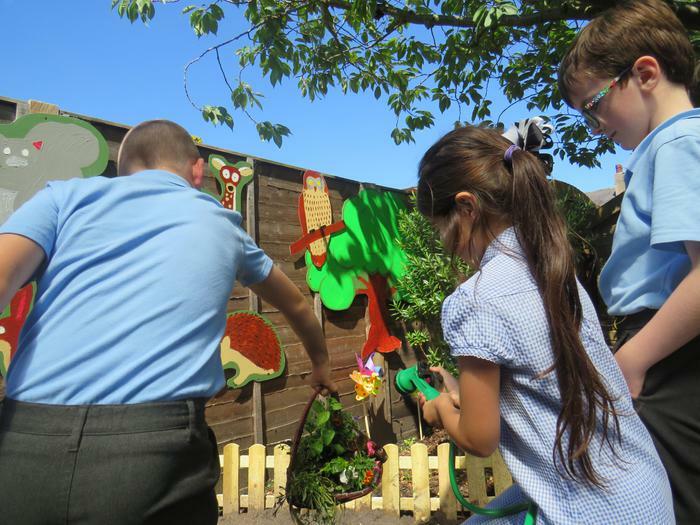 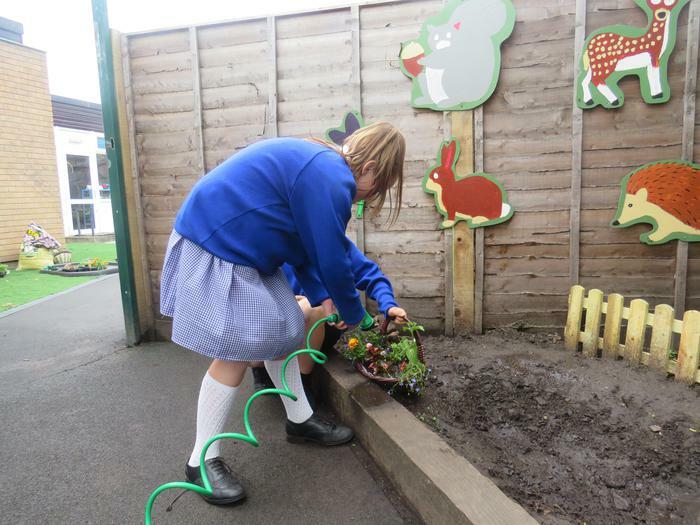 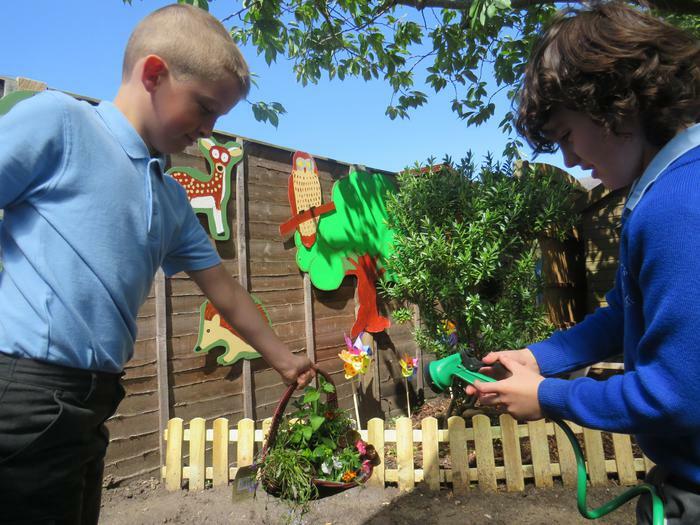 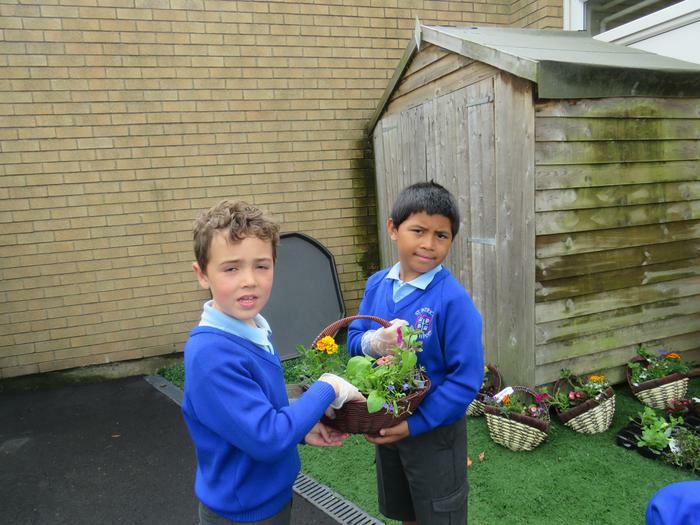 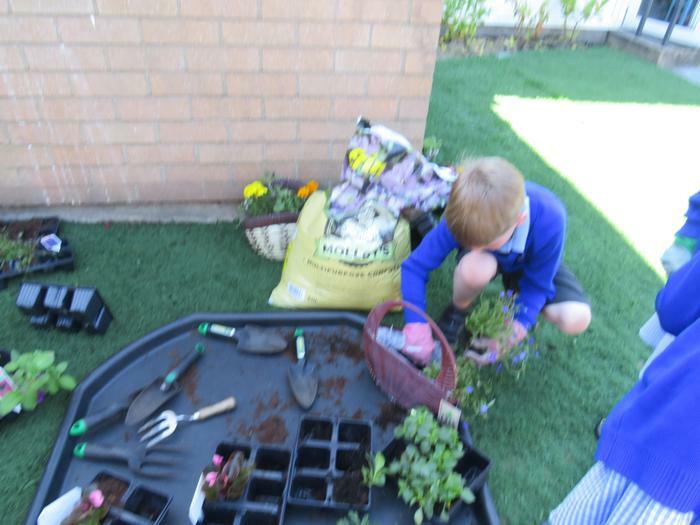 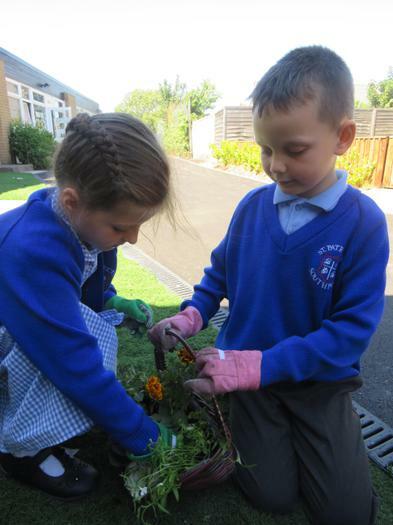 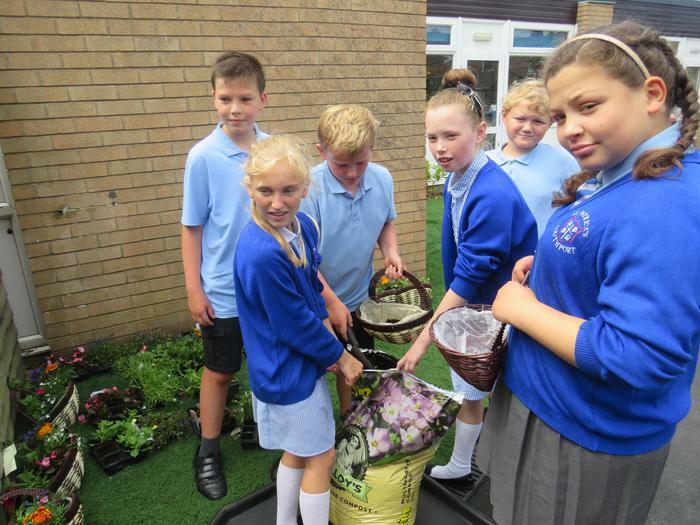 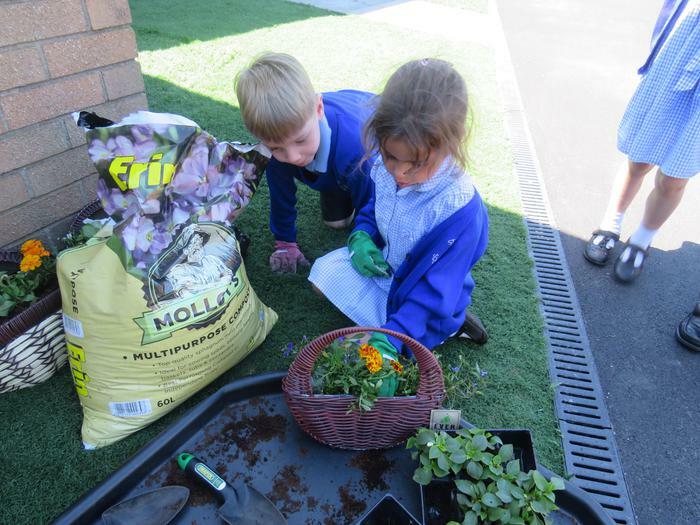 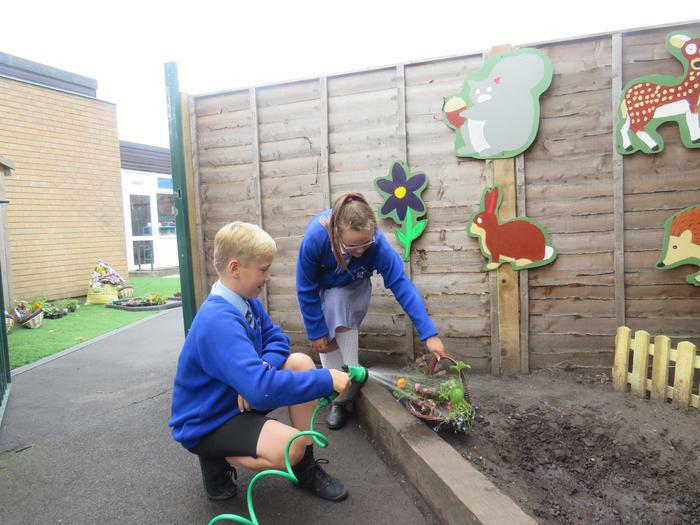 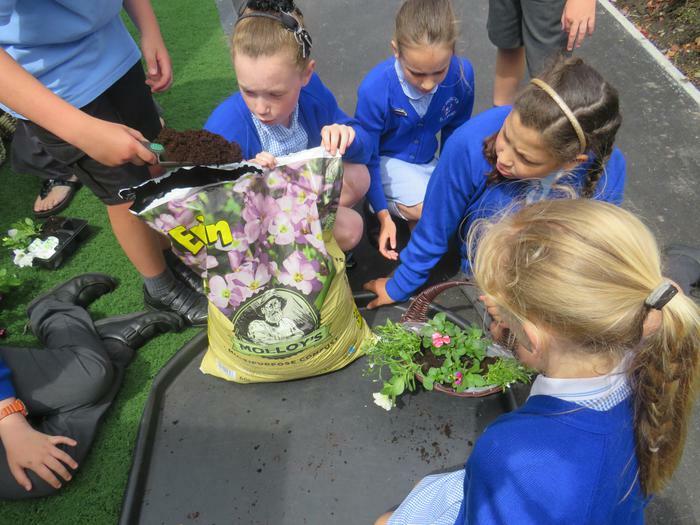 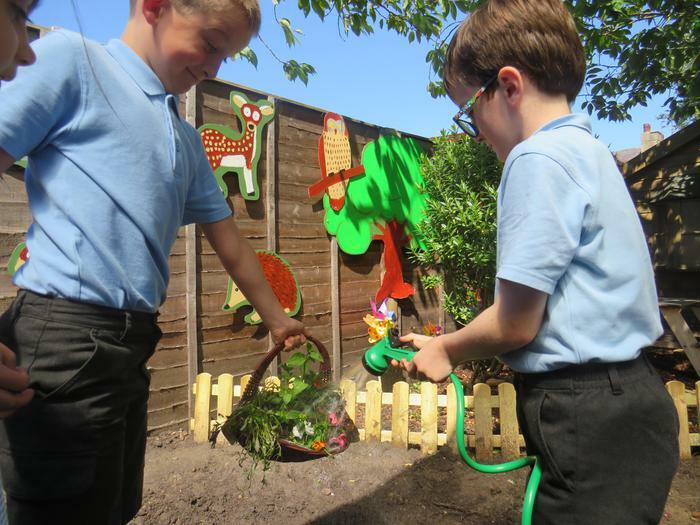 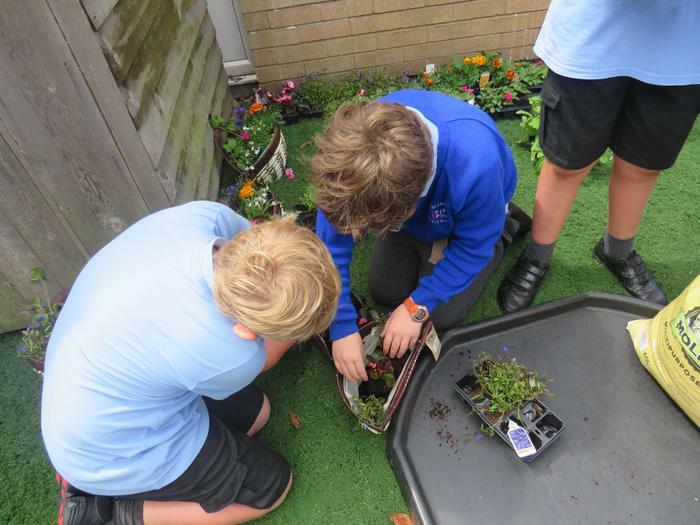 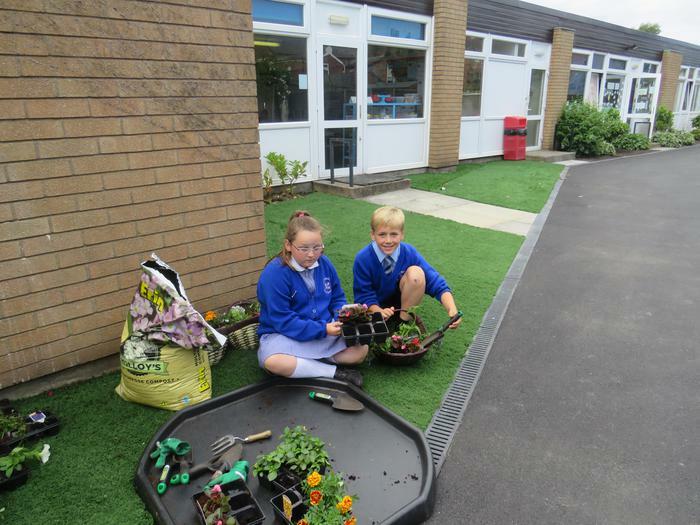 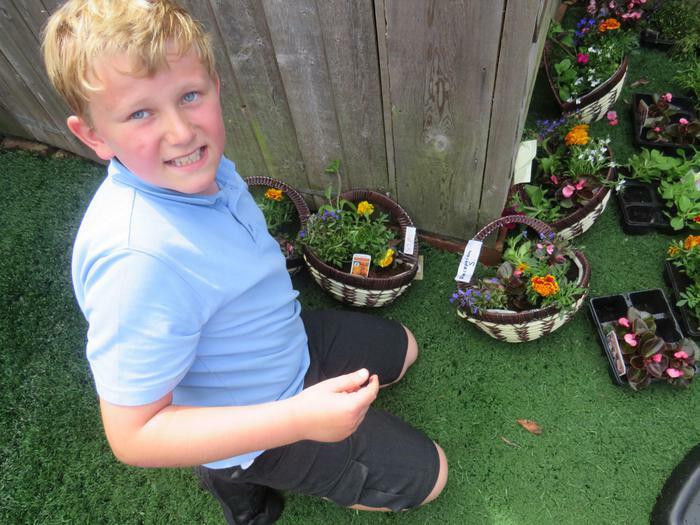 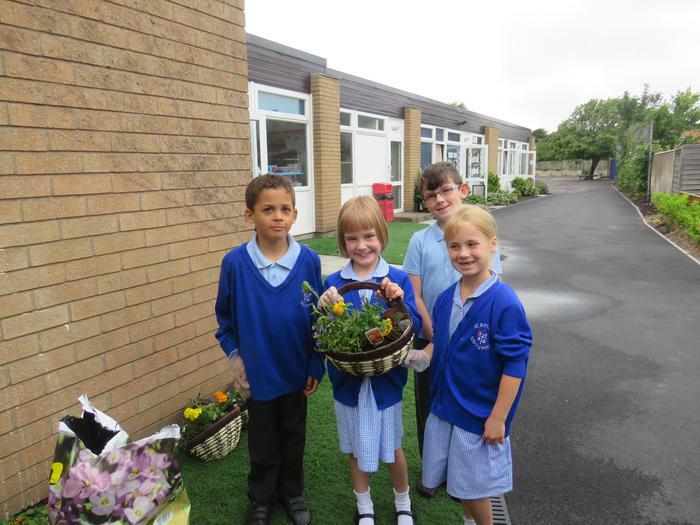 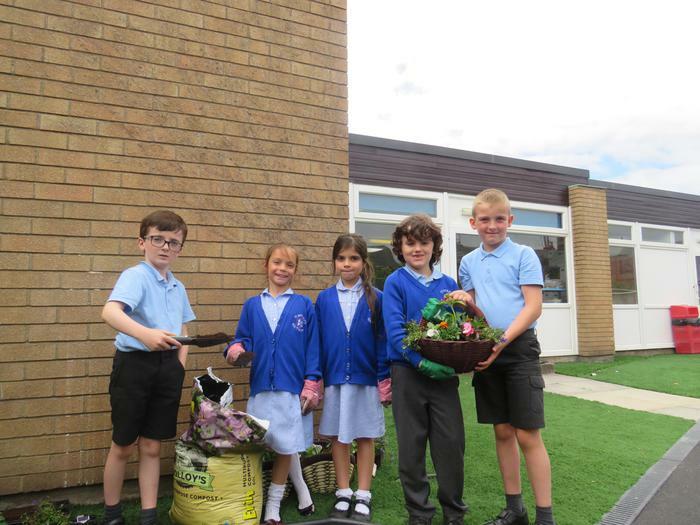 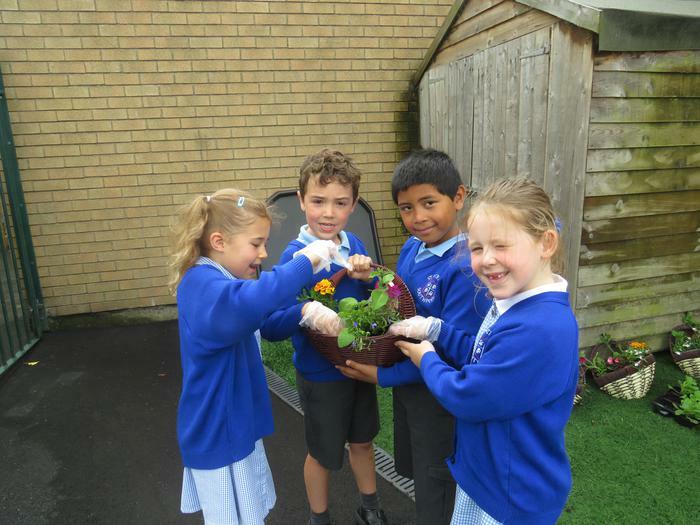 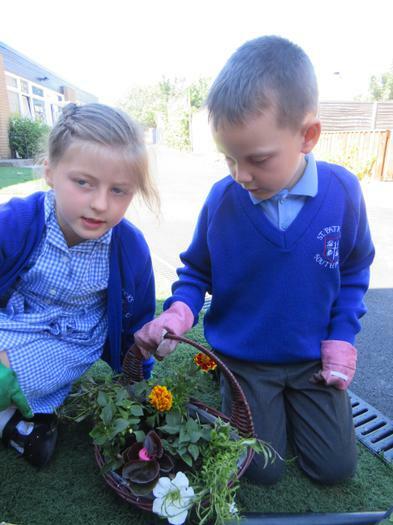 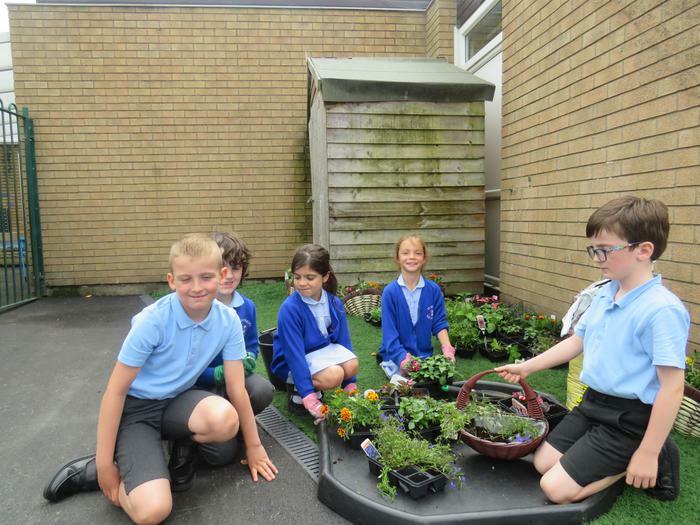 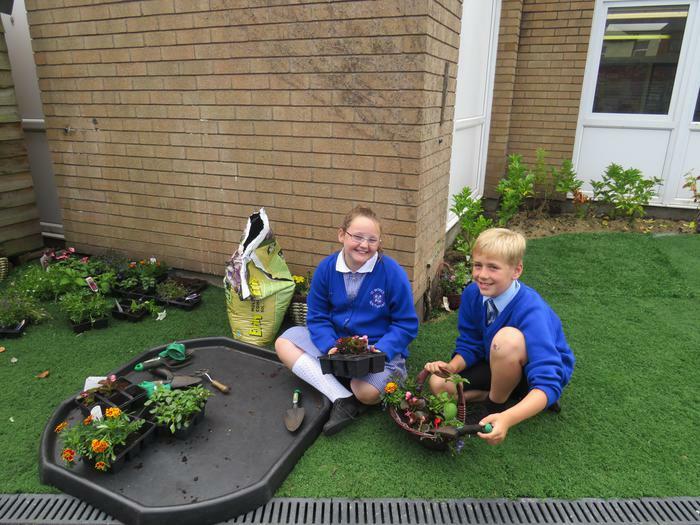 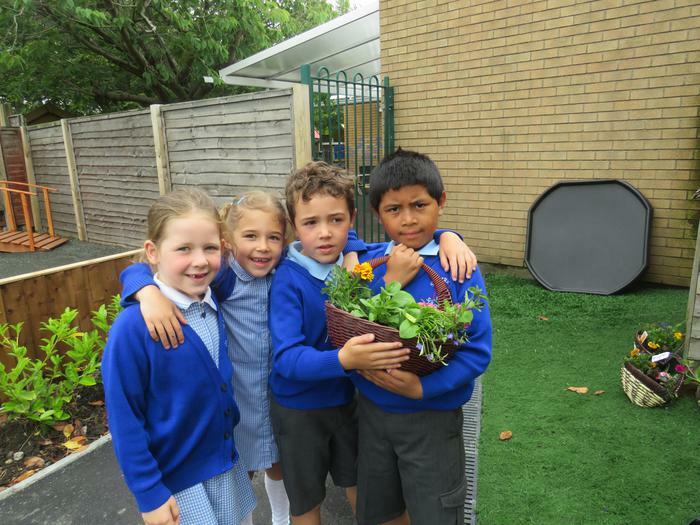 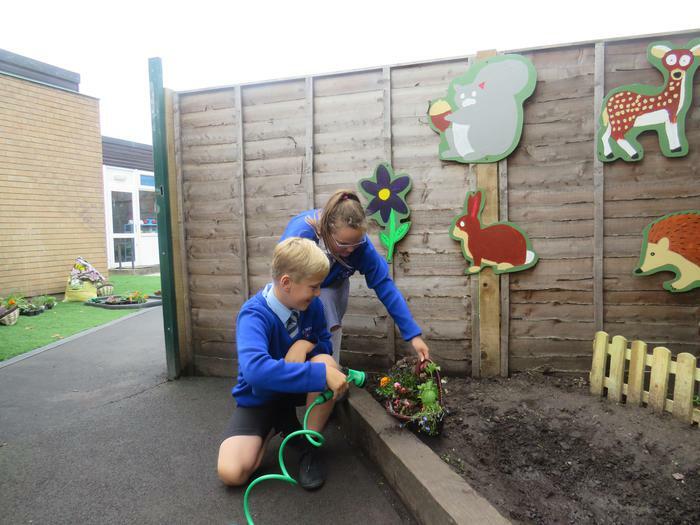 We have been reflecting on how we show our appreciation for God’s beautiful creation and we have been developing a Spiritual Garden for Collective Worship. 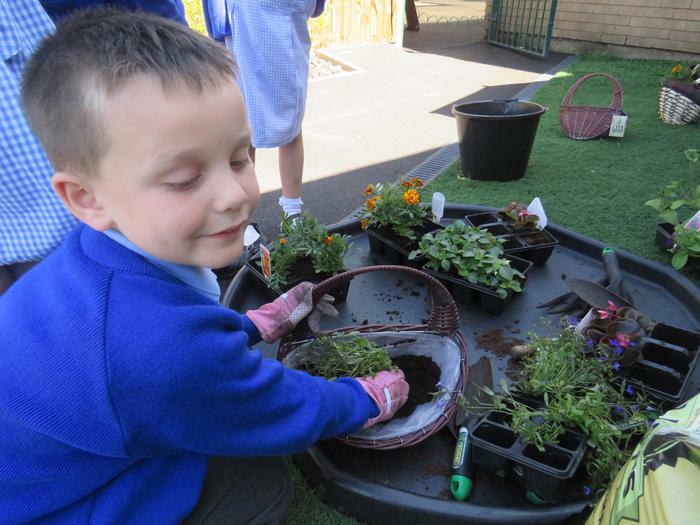 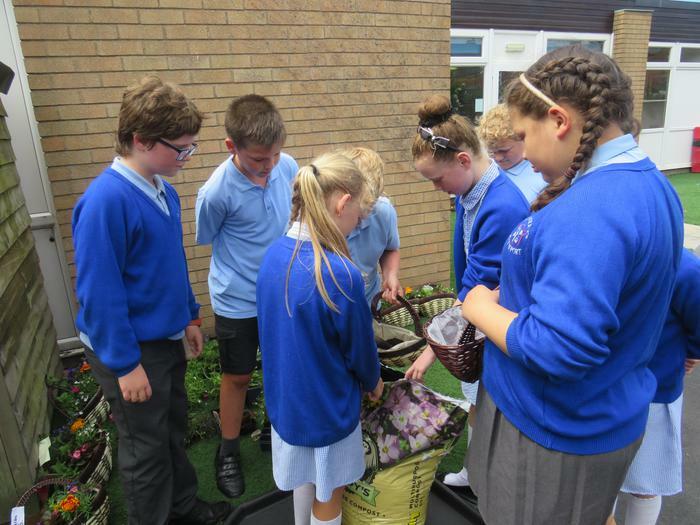 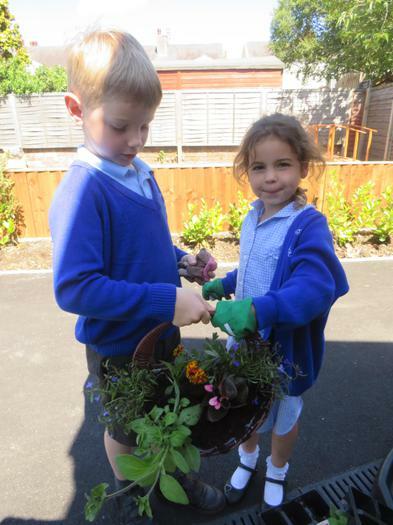 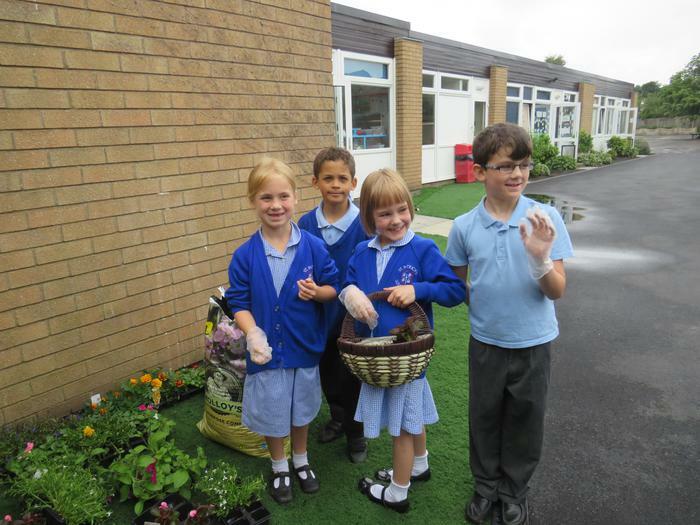 Together, we gathered to pot bedding plants and spend lovely afternoons in the sunshine enhancing our garden.